whilst the construction of each may vary, they all take the inside living space into the heart of the garden allowing you to enjoy the outside lifestyle no matter what time of year. 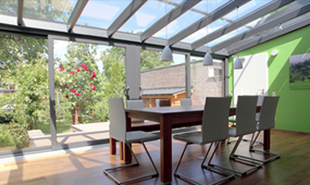 a garden room or conservatory is a cost effective and enjoyable way to add light and space to your home. the high performance construction and materials used in our conservatories create a sunroom where you can enjoy natural light all year round. the partial or fully glazed walls and roofs offer you an unrivalled supply of natural light entering your home thus giving you the feeling of being outside yet inside and vice versa. 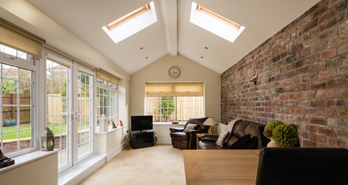 we only use high performance insulated glazed units (igu) in order to ensure that your conservatory is capable of staying warm in the winter (subject to heating just as in your home) and cool in the summer, whilst designing in sufficient ventilation to ensure that it remains at the correct temperature that suits your lifestyle. orangeries differ very subtly from conservatories in a number of ways. generally they feature more brickwork than conservatories, this ensures they blend into your existing home sympathetically offering a higher level of privacy. 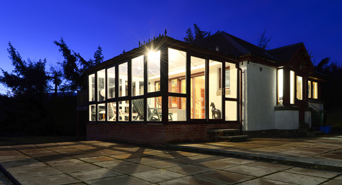 and although having less glass area than traditional conservatories, they still maintain the desirable light and comfortable feeling, as they often incorporate large windows/bifold doors and glass roofs. utilising the full advantage of high performance modern materials, the contemporary glazed extension maximizes the ability to absorb the outside world into the very heart of your home. creating a seemless fusion of your living environment, placing you closer to nature and removing the boundaries that traditional conservatories possess, this contemporary glazed construction makes your garden a natural extension of your home. whether you wish to add a relaxing garden room to your home, maximize a view, create a new kitchen, dining room or home office, we at vellacine understand that this is not just another room to you but an important lifestyle investment.